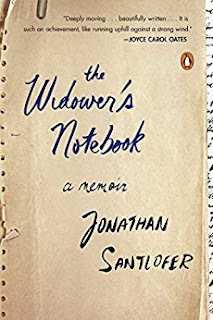 Jonathan Santlofer is a writer and artist. His debut novel, The Death Artist, was an international bestseller, translated into seventeen languages, and is currently in development for screen adaptation. His fourth novel, Anatomy of Fear, won the Nero Award for best novel of 2009. His short stories have appeared in numerous anthologies. He is also the creator and editor of several anthologies including It Occurs to Me That I Am America, a collection of original stories and art. His paintings and drawings are included in many public and private collections. Thank you so much for being here, Jonathan! 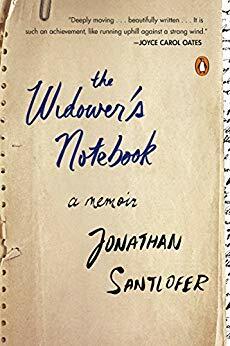 So much of The Widower’s Notebook is about how males are supposed to act grieving, which is stoic, quiet, moving on. And which is nonsense. Can you talk about this please? I think I fit the male pattern of grieving you describe very well—or did. I rarely if ever let anyone see what I really felt. I hid behind my mask of cool and funny, which in fact made the grieving process that much worse by making me feel isolated. It’s one of the things that eventually spurred me on to write this book—to express what I felt in a culture that doesn’t want to deal with loss and grief and does not expect it from a man. There are cultural stereotypes and expectations about the way women grieve versus the way men do, all ridiculous and equally punishing. I loved that you binge-watched Netflix. When my mother had a stroke and began the process of dying, I found myself watching horror movies on my computer for hours at a time. Sometimes, I think, we need stories that are nothing like ours, to move forward. But some times, we need stories like yours, which make us feel that we are not alone, that we are all bound by love and loss. Was there ever a point where you felt, no, I can’t continue writing this? I’m very sorry to hear about your mother. I think losing one’s mother is enormous, and I know my daughter would agree. I also agree that there are times we need distraction – 50 nonstop episodes of Breaking Bad or House of Cards - but there are those other times when we absolutely need to read other people’s experiences of loss for exactly the reason you say – to not feel alone. For well over a year I couldn’t read anything but when I started again all I read were memoirs about loss. I sometimes think a combination of work, friends, Netflix, and Joan Didion saved my life! There were many times I thought, I can’t keep writing this because it’s too painful. And yet, I know the act of writing helped me move forward. At a certain point I had to step back and look at it as a book, a work on its own, a process that was a bit unnerving—to edit and structure something this personal—but I also felt, If I’m going to do this it had better be good! 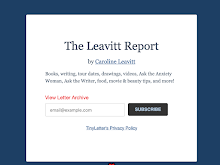 Was there a difference in the way art and writing helped you? I feel lucky that I had my art and writing because they were places to put what I was feeling into something tangible. When you make a drawing you have to coordinate your hand and eye, really concentrate on seeing, so it’s a great escape. I have often recommended learning to draw (and I believe everyone can) to others because it sharpens your mind in a very particular way and makes you see the world differently. 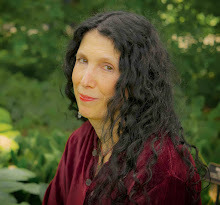 I couldn’t actually escape when I was writing because it was all about what had happened, but there was something about constructing words and sentences—no matter how painful—that felt good and worthwhile. I firmly believe that work of any kind is a great mechanism to deal with grief. It doesn’t matter what it is—cooking, gardening, painting, learning a language, anything that forces you to focus—because it takes you out of the moment and makes you think about something else. Grieving takes time no matter what, but if you’re doing something at least part of that time moves faster. I just finished the novel I’d started before my wife died. It’s an historical thriller that mixes fact and fiction, something I’ve never done before. It was a difficult but very fun book to write. I’m painting too, and always drawing, which is relaxing for me. Once I finish editing the new novel I want to start another – an idea that’s been percolating in the back of my mind for a while now. After my wife died I couldn’t work at all so it now feels as if I’m making up for that time. I sometimes think, Oh, just stop, relax and shut up! But I can’t. I’m really only happy when I’m working, and I’ve grown to accept that. The question I ask myself is: how am I feeling now? The Widower’s Notebook ends at a certain point, but as time goes on I feel more like myself. I’m a somewhat different, altered person than I was before, but I am no longer in the throes of grief and I think people need to hear that: to know that they will survive and feel better, because when you’re deep in grief you can’t imagine ever feeling better, but you will.